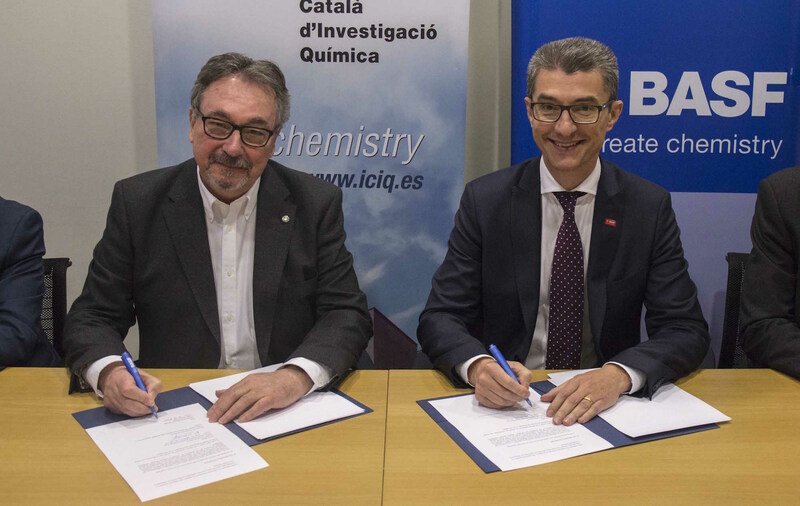 Miquel A. Pericàs (left), ICIQ director, and Carles Navarro, CEO at BASF Española signed the agreement. 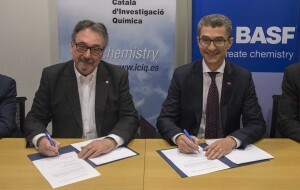 BASF Española has renewed sponsorship of the ICIQ Seminar Programme for training Master and PhD students and postdoctoral researchers. The agreement reflects BASF’s commitment to make an annual donation to ICIQ for a period of three consecutive years, from 2018 to 2020. BASF has been funding our seminar programme since 2012. The ICIQ Seminar Programme is a meeting point for top-class chemists undertaking ground breaking research. It consists of about 35 scientific seminars per year, scheduled on a weekly basis. Among the most prestigious scientists, including Nobel Prize laureates K.B. Sharpless, R.R. Schrock, R. Grubbs, A. Suzuki and J.P. Sauvage, have presented seminars as part of the programme. Seminars are open to all ICIQ researchers and the scientific public at large.